My laboratory, the “Biofilm Laboratory”, focuses on molecular dissection of bacterial biofilms and pathogenesis, largely involving studies of bacterial genomes, genes and gene products important for biofilm formation, stress response, cell-cell communication, antibiotic resistance and pathogenesis. My research is currently funded by CIHR and NSERC. 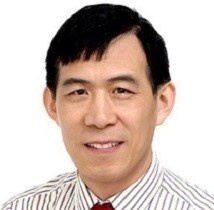 For a complete list of Dr. Yung-Hua Li's publications, click here. Jalal N, Tian XL, Dong GF, Upham J, Chen C. Parcells M, LI YH. 2015. Identification and characterization of SMU.244 encoding a putative UppP protein required for the cell wall biosynthesis and bacitracin resistance in Streptococcus mutans. Microbiology. 161: 1857-1870 Doi: 10.1099/mic.0.000142. Dong GF, Tian XL, Gomez ZA, Li YH. 2014. Regulated proteolysis of the alternative sigma factor SigX in Streptococcus mutans: implication in the escape from competence. BMC Microbiology. 14: 183 (1-16). Tian XL, Dong GF, Liu TL, Gomez Z, Wahl A, Hols P, Li YH. 2013. MecA protein acts as a negative regulator of genetic competence in Streptococcus mutans. J. Bacteriology. 195:5196-5206. Mai J, Tian XL, Gallant JW, Merkley N, Biswas Z, Syvitski R, Douglas SE, Ling JQ, Li YH. 2011. A novel target-specific, salt-resistant antimicrobial peptide against the cariogenic pathogen Streptococcus mutans. Antimicrob. Agents Chemother. 55: 5205-5213.